“Late Phases” was mostly entertaining, and had some funny moments. I liked the setup at the retirement home, the transformation scenes (even though I’m not sure that they were really all done without any use of CGI, as promised by the festival bill) and the humor. Nick Damici was also really good as the blind retiree who gets attacked by a werewolf, and vows vengeance. There also were a couple of nice, brutal, gory kills that got cheers from the audience. And I really felt sorry for the first victim. She was such a funny, charming and friendly old lady! Apart from this scene at the beginning, though, most of the emotional scenes fell rather flat for me, especially near the end (voice message). I also think it was a little bit too obvious how it would all turn out. 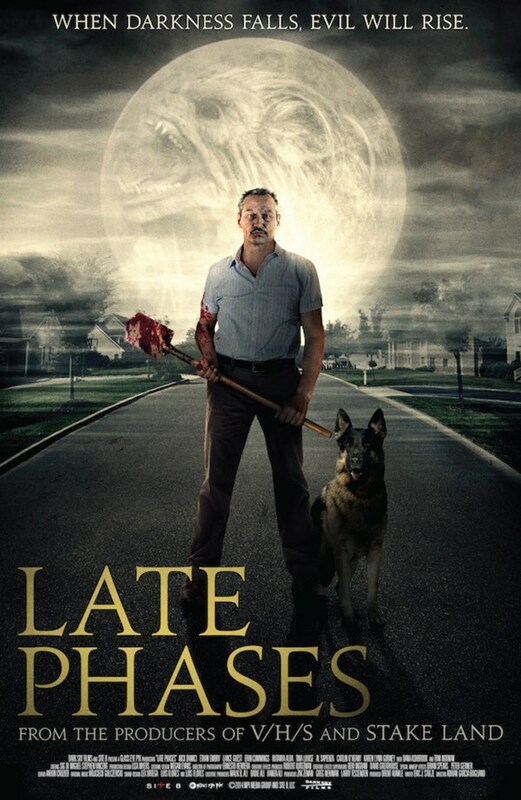 Another problem that “Late Phases” shares with werewolf-movies, especially those that are not about the werewolves themselves, but uses them only as a threat (like vampires or zombies), is that they only attack once every moon cycle. Thus, during the middle part, you know that Ambrose is safe, and that nothing will/can happen to him, which drains all tension from the movie. I also thought that the identity of the werewolf was a little obvious. And can someone explain to me why a blind man would turn on the lights at home? Is that really something that blind people do, or was that just movie logic (so that the audience can see what’s going on)? Apart from that, “Late Phases” was ok, but “Bubba Ho-Tep” is most definitely still the king when it comes to horror comedies that are set at a retirement home. This entry was posted in /slash, cinema 2014, movie reviews and tagged Adrián García Bogliano, comedy, horror, Nick Damici. Bookmark the permalink.